Hey everyone, thanks for coming by our commentary page! These commentaries feature Scott Murphy, Mark Crowe, and partner/host Chris Pope. 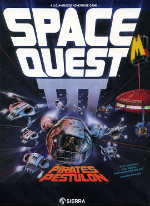 The SQ3 Commentary also features a new chat transcript with Ken and Roberta Williams. SQ6 commentary also features Josh Mandel. 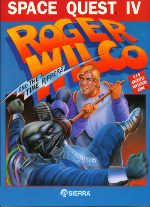 I loved the space quest games as a kid, and I occationally play their copies I have from abandonware sites .If there will be more adventures of Roger Wilco I cannot wait to play them, and introduce them to my kids to enjoy. That is a line for the ages. I love this franchise, and I was very upset when I found out they would create no further games. I have followed it religiously hoping for future developments, and it looks like it has paid off. I can’t wait to play the new adventure game. And this has brightened my day. please be avalable on steam, thay realy are a great platform for indi games . on a side note i’m verry glad to see you guys together again. 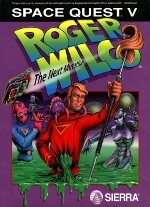 I grew up with space quest, my first game ever on pc was space quest. and those game taught me english (i’m french) keep up the good work !! and best of luck !! Just a quick word to say that my kids and I have been frantically playing with this totally insane series and my only regret was to see that it could no longer be ported on anything beyond 16 bits. Am now 63 but if you guys come back with more Wilcoisms don’t forget to let me know. 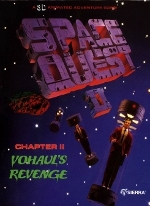 Even French folks can be mad about Space Quest. Man – i cant believe it^^ i´m so excited, i was just searching some fan-made space quest projects because no game was so much fun to me as the space quest (and kings quest) series was.And now i ended up here – and i see that the two guys from andromeda, who have delivered so many hours of fun to my father,my brother and me, are back. I missed the kick started, i loved the quest games, and ive been missing the adventure type game. totally can not wait for this. Whats News, gone very quiet lately, never a good sign. What’s up, have not seen any game yet, did you get broke? Thank you for getting back into the game. like rock and role your stile of games have not and will not be duplicated, we missed you and I’m looking forward to playing your stile of game again. Sincerely an old fan. I am getting sad visiting this website… no news, no updates, when is the game ready? No deadline given. Just sad. Hm…I was really hoping that you guys keep us more updatet about this game. In somehow I think nothing happened at all, a lot of enthusiasm at the beginning and then just BLACK. Nothing. Empty. 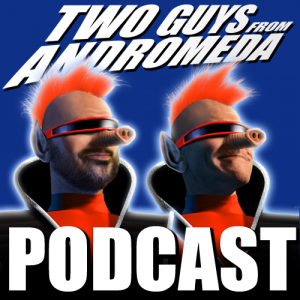 Space Quest Fans love what you did since nearly 30 years – so come on, show more respect and keep us updatet what exactly you guys are doing with all the hopes (and money) of your fans. 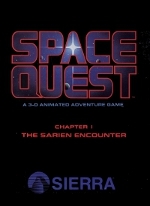 Space Quest has been a huge influence on me. I love the humor. The love put into the universe. 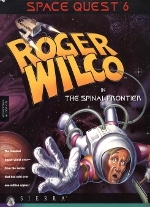 I can’t wait for Space Adventure. Thanks for making some very rough years of my life enjoyable. I still play them occasionally and pick up little things here and there. My wife loves watching me. Thanks and good luck! One of the best computer game series of all time! These games deserve way more love and appreciation. Adventure gaming at its finest.